Emma Lazarus gave us our "Mother of Exiles." 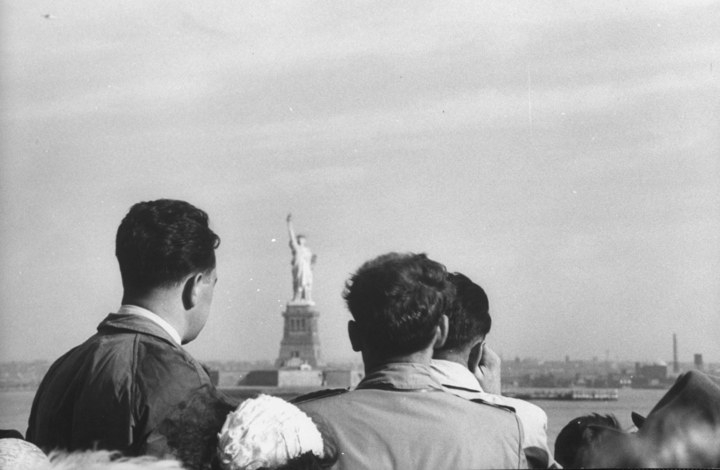 The Statue of Liberty and the “give me your tired, your poor, your huddled masses” inscription on her base, are iconic symbols of the United States, an oft-invoked reminder of the fact that America is a proud nation of many immigrants. But here’s the thing: neither those words nor the association with immigration were part of the statue’s original plan. Here’s how we arrived at our shared modern perception of Lady Liberty. 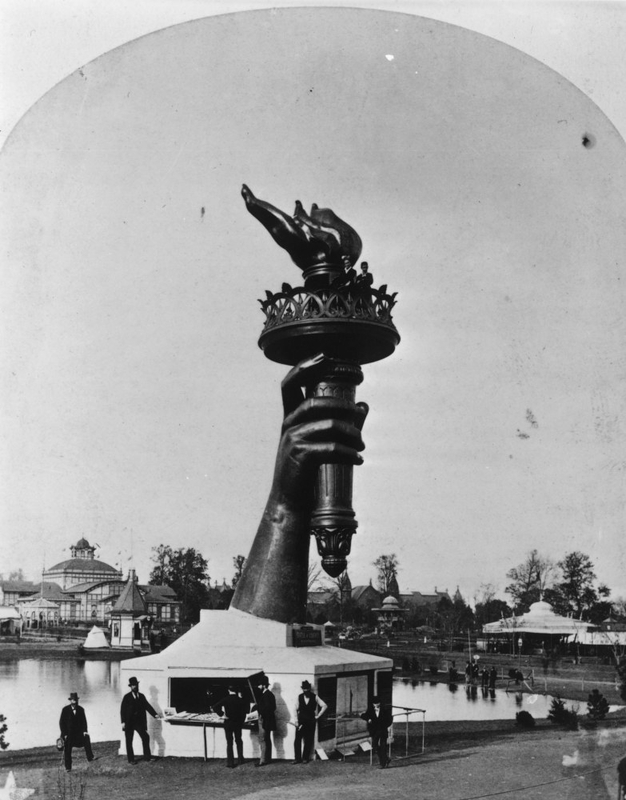 “Liberty Enlightening the World” was, famously, a gift from France to the United States; it arrived in New York City in 1885, and was intended to celebrate the Declaration of Independence, American democracy, and the French-American friendship. But that gift didn't include the pedestal on which she would stand. So, Americans held fundraisers — including theatrical performances, prizefights, and art auctions — to pay for the pedestal. 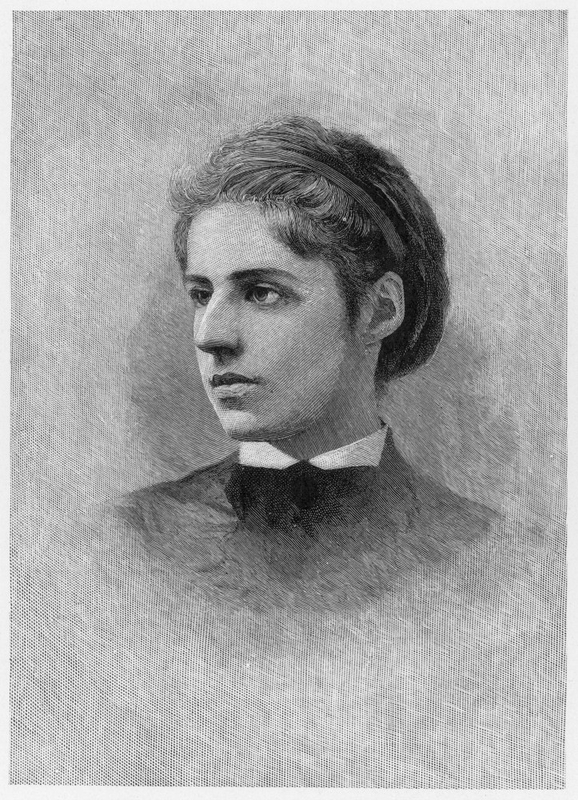 Emma Lazarus, a 34-year-old Jewish-American author living in New York City, wrote a poem called "The New Colossus" for one such auction in 1883. According to Esther Schor, a historian who wrote a book on Lazarus, Lazarus was inspired to write the poem after she saw Lady Liberty’s torch on display in Madison Square Park at a different fundraising event. Turns out, Americans were actually pretty disinterested in helping to pay for the project, and Lazarus saw a connection between the lack of funds for the pedestal, and the lack of funds people were willing to contribute when she had attempted to raise money to help Russian-Jewish refugees the year before. 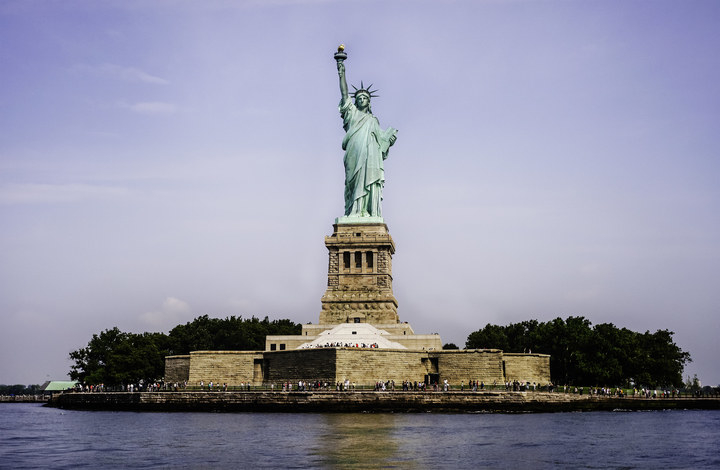 While many large monuments represent a country’s strength and wealth, Lazarus began to envision a Statue of Liberty that was a beacon of hope and hospitality for immigrants. Though Lazarus was well-known in elite literary circles, and was a successful and respected poet, “The New Colossus” went mostly unnoticed at the time. But after she died, Lazarus’s friend Georgina Schuyler (a descendant of American immigrant Alexander Hamilton and Elizaaaaa Schuyler) found the poem tucked in a small portfolio of poems that were written to raise money for the pedestal. Schuyler lobbied to have part of the poem put on the statue’s pedestal, and in 1903 — 16 years after Lazarus died — it was.